Is the use of digital technology cutting back the interactions parents have with their babies? Communications Professor Lelia Green believes it could be affecting the important ‘baby talk’ stage of development. 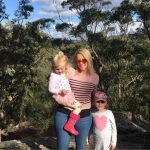 In an age where everyone is carrying at least one mobile device on them wherever they go, has the rise in new technology interrupted an important developmental stage of parenting? Edith Cowan University Communications Professor, Lelia Green says it’s become too easy for parents to become distracted by their mobile device or even hand the device to the child when out and about to keep them happy or quiet rather than spending that time engaging in baby talk. By baby talk, Professor Green is referring to simple conversations with babies about incidental goings on. Such as if you are at the shops waiting in line, talking to baby about the colour of someone’s jumper or asking did you see that little dog over there? But rather than taking those little opportunities to have verbal interactions with babies, could the modern convenience of digital technology be effecting this important developmental stage and interaction with our infants? Professor Green is urging parents to plan their digital technology usage and also what the rules of technology will be within the household before baby arrives. Some rules she suggested included banning digital technology in bedrooms and at the dinner table, and then following through with the plan yourself. “Parents aren’t thinking ‘what experience do I want them to have had by the time they go to primary school,” she said. But if parents think about their media habits before baby arrives, it could pay off in later years when the kids are old enough to use digital media independently. What do you think about digital technology and its impact on baby talk? 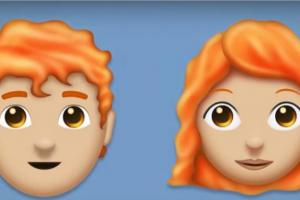 Ginger emojis are coming! This is not a drill.